The new Permanent Secretary in the Ministry of Foreign Affairs, Ambassador Sola Enikanolaiye, on Saturday announced a new blueprint that would make the Ministry conform to international standards. Enikanolaiye disclosed this while interacting with the Student Officers of the 22nd Regular Course of the Nigerian Foreign Service Academy in Ijanikin, Lagos. The Permanent Secretary, who was on his first official visits to the Ministry in Lagos, said that the blueprint would reposition the Ministry within the next two years. Enikanolaiye said: “We are now set to make the Nigerian Ministry of Foreign Affairs to conform to international standards. “I have come up with a blueprint for engaging in the reform of the ministry in the next two years. 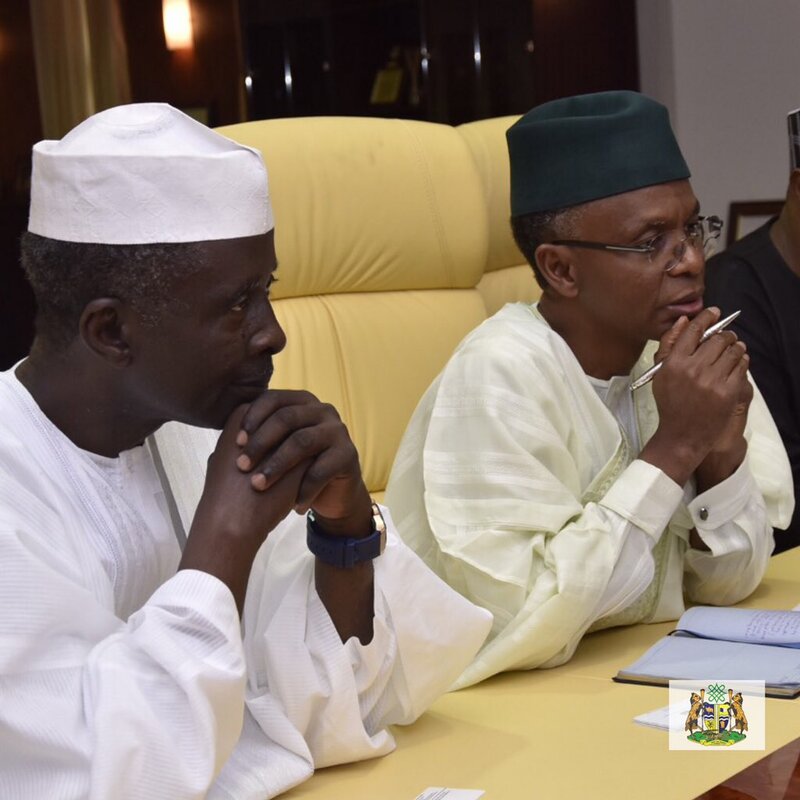 “This blueprint focuses on policy, processes and procedures in the overall operation of Nigeria’s foreign affairs. Enikanolaiye also said that the new policy would be anchored on the priorities of economic diversification, job creation and good governance, which are geared at strengthening anti-corruption initiatives and other objectives. He also said that the ministry was going to intensify the mentoring of young officers, to enable them to develop their careers as future Foreign Service officers. 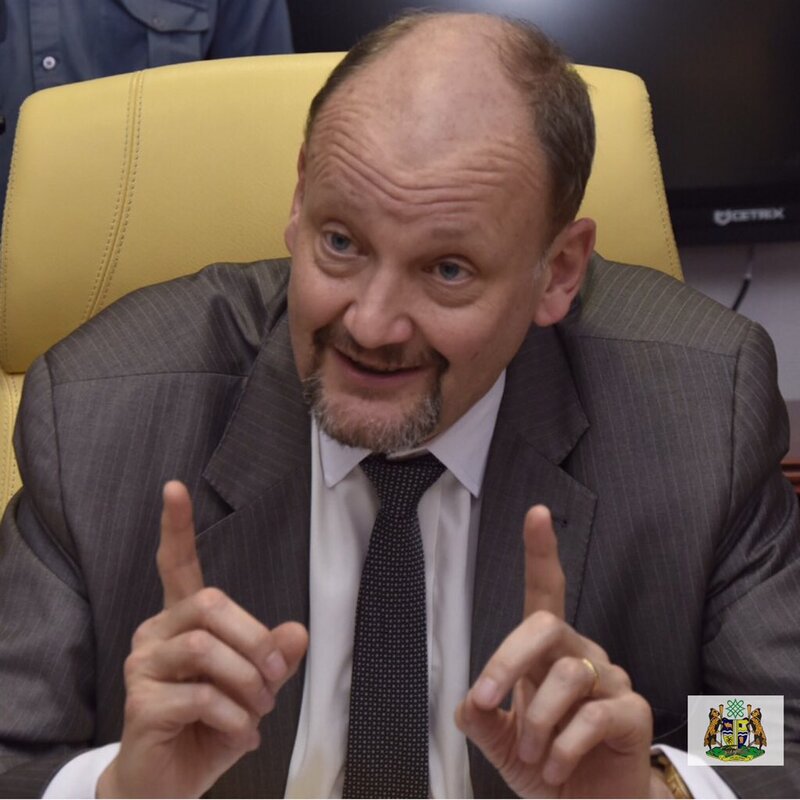 The permanent secretary also disclosed the Ministry’s plan to provide adequate funding for the Academy, for it to overcome its current challenges in training Foreign Service officers for the nation. He also assured the students of his readiness to process the payment of their six-month’ unpaid monthly stipends by next week. Enikanolaiye said that it was imperative for the student officers, who had completed their course in the Academy, to know that they were coming into a system that no longer condoned indiscipline at home and abroad. The Director of the Academy, Benedict Adejinle, called on him to constitute an implementation team to work on the report of the Committee for the overhaul of the Academy. Adejinle said that the mandate of the committee was to address issues militating against the Academy’s efficiency and to develop a result-oriented curriculum for improving its students’ performances. He commended the new Permanent Secretary for the visit and assured him of the Academy’s readiness to continue to produce credible and dependable Foreign Service officers for Nigeria and other countries. The high point of the visit was the Golden Awards given to the new Permanent Secretary and the Academy’s Director by the Students’ Executive Council of the Academy’s 22nd Regular Course. The new Permanent Secretary in the Ministry of Foreign Affairs, Amb. Sola Enikanolaiye, on Sunday assured Nigerians that Donald Trump’s presidency would not disrupt the U. S. and Nigeria’s long-existing relations. 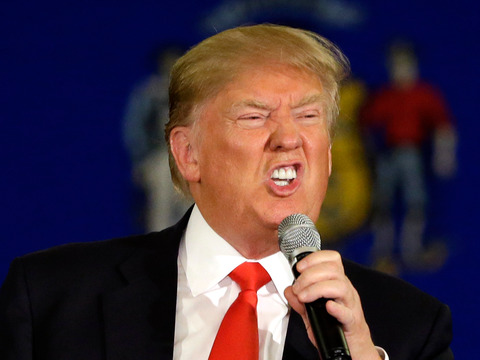 Enikanolaiye said that there was no need for Nigerians to be agitated over Trump’s presidency. “The United States and Nigeria have had excellent relations since the attainment of Nigeria’s Independence. “And under every government in the U. S, whether Republican or Democrat, we have always had cordial relations. The permanent secretary, however, said that Nigeria would not be naive to be caught unawares by any future eventualities. Enikanolaiye said that ahead of eventualities, his Ministry would on Monday, Nov. 28, hold a special retreat in Abuja, to deliberate on some of Trump’s rhetorics during his campaigns. He said, “Given the President-elect’s rhetorics during his campaigns and election, we would not be naive not to prepare for these eventualities. “We have, therefore, decided to organise a special retreat on Monday, Nov. 28, in Abuja. Enikanolaiye recalled that Nigeria had excellent relations with the administration of the outgoing president Barack Obama in different areas, including economic ties, deepening of Nigeria’s democracy and other areas. Bolivian nationals, Reuben Ticono Jorge, Yhugo Chavaez Moreno, and Yerko Artunduago Dorado have been sentenced to jail by a Lagos hugh court for drug related offences in Nigeria. The trio were convicted 21 November after they changed their plea to guilty over the two count charge of drug related offences levelled against them by the National Drugs Laws Enforcement Agency (NDLEA). NDLEA’s prosecutor, Mr. Abu Ibrahim then tendered several documentary evidence, which include certificate of test analysis, drug analysis reports, their written statements written in English and Portuguese and other incriminating materials used in producing the banned drugs. The presiding Judge Oluremi Oguntoyinbo then reserved judgement against the Bolivians till today, following the mercy plea by their lawyer, Chief Benson Ndakara, who urged the court to consider the period they had spent in prison custody. Delivering judgment in the criminal charge, Justice Oguntoyinbo, said the jail terms prescribed by the NDLEA Act for count one of the charge is life imprisonment without prescribing minimum sentence. The judge also stated that the prescribed jail term for second count is 25 years without prescribing minimum jail terms. Consequently, Justice Oguntoyinbo sentenced the three Bolivians to six years on each count. The prison terms will run concurrently. She ordered that the jail terms should start running from 2nd of February, 2012 when they were arrested and have been in prison custody. She also ordered that the drugs seized from the convicts should be destroyed by the officials of the anti-drug agency in the presence of the accused counsel. 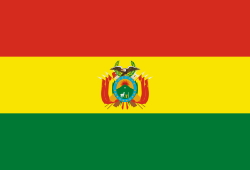 The Bolivians however still have another case to answer. They were re-arraigned alongside two Nigerians; Basil Ikechukwu Uzoka and Uba Ubachukwu Collins on a six count-charge of unlawful production and storage of the controlled drug. The Bolivians alongside the Nigerians were accused of unlawful production of controlled drug known as Methamphetamine, and unlawfully using a property located at 38 Daily Times Estate, Satellite Town, for the production of the said controlled drug. However, one of the Nigerians, Basil Ikechukwu was slammed with three counts. He was not only charged with allowing the said property to be used for the unlawful storing of the controlled drug, but also charged with aiding and financing the convicted Bolivians in production of the drug. He pleaded not guilty to the charge. The offences alleged to have been committed by the convicts and the accused Nigerian collaborators are contrary to sections 20(1)(a), 12, 14(b), 20(1)(g) and 20(1)(f), and punishable under sections 20(2)(a), and 20(2)(b) of the National Drugs Laws Enforcement Agency Act, Cap. N30, Laws of the Federation of Nigeria, 2004. The case has been adjourned till 12 December 2016. Latiwa Projects organised a black and white exclusive mask party for charity in Abuja on November 5, 2016. 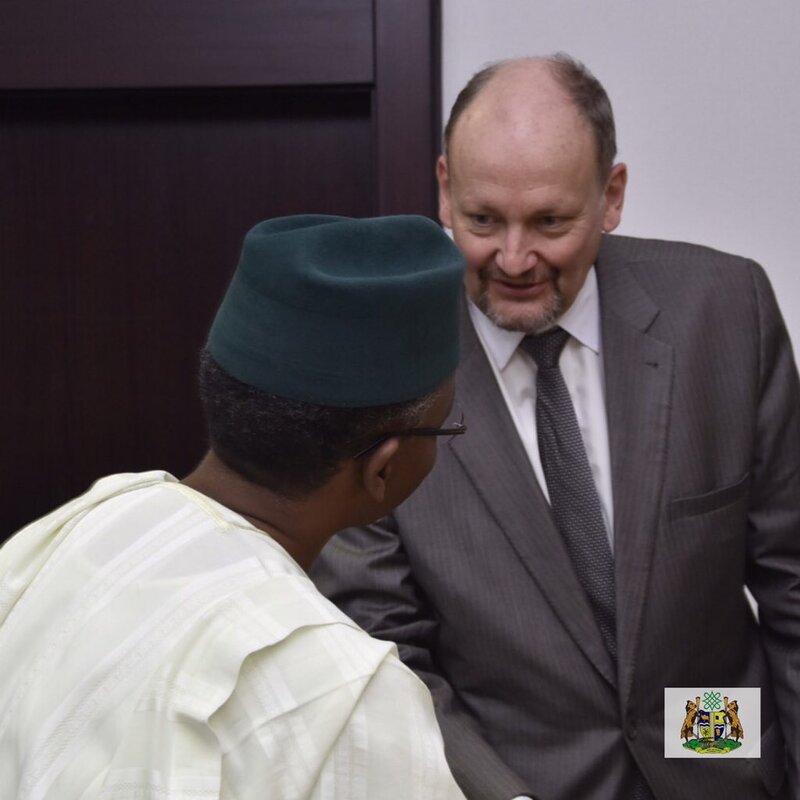 The event was attended by guests across the diplomatic and business community in Nigeria, like the Italian, Argentine, Slovak and Venezuela ambassadors among notable others. Special appearance by Aerialist, Autumn Brunette from the USA, DJ Jamie from Berlin and Kiki Kamanu, an international fashion designer added spice to the classy event. In her remarks, the President of Latiwa Projects, Latiwa Cathy Amato told FIN that she and her team members put the event together to raise fund in order to give back to the less-privileged. "We put this event together to raise funds for charity and give back to the less priviiledged in the society and I am so glad it went well." "On behalf of the LAF commitee members, I thank our able partners and sponsors, volunteers, artistes and fashion designers for supporting this laudable cause, we truly appreciate." Vine Heritage Homes and Bells Echo Initiative are the beneficiaries of the funds raised which will be put to use in building a storage and nursery renovation and also, community healthcare for the people living with disabilities. All plans have been concluded for the 2016 edition of the Korean Ambassador Cup the 8th (Friday) to the 10th of December. Information made available by the organizers of the 3 days event sponsored by the Korean Cultural Centre revealed that over 300 participants from the 36 states of the federation and friendly West African coast will be in attendance where they will be competing for honors in the respective weight categories, for the sparring (kyorugi and the forms (poomsaes). 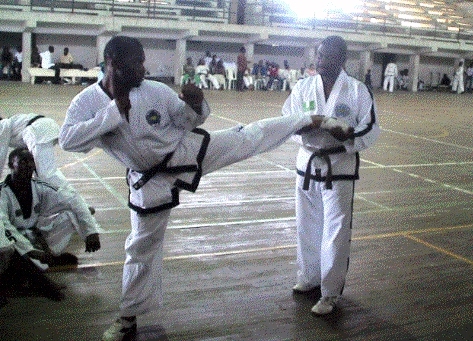 The Chairman of the Main Organizing Committee who also doubles as the President of the Nigeria Taekwondo Federation, Grandmaster George Ashiru said the annual event sponsored by the Korean Cultural centre 'with their other chosen partners' is geared towards enhancing sports development and bilateral relations between Nigeria anf South Korea. He believes that in the absence of the National Sports Festival, the 2016 edition will provide an opportunity for the federation to raise a new national team for 2017 which is a world championship year. According to information made available from the Secretariat of the Nigeria Taekwondo Federation in a press statement to FIN, about 300 athletes made up of 50 teams have already arrived in Lagos for the competition set to kick off on Friday. "300 athletes with about 150 accompanying officials have already landed in Lagos and ready for the 2016 edition of the Korean Ambassador Cup." "Ghana have already sent in 3 separate teams from 3 different provinces, Niger have sent in another set of athletes while Togo are reported to have their athletes on the road. But, we won't count them as part of the competition until they arrive in Lagos." "We do know that many states, the Armed forces and other para-military units as well as elite clubs are seriously gearing up to be for this event to ensure that their athletes are nationally ranked in preparation for a busy season in 2017. Apart from individual awards for participating athletes at the end of the competition, there will be a presentation of awards from the Korean Ambassador to former President of the Federal Republic of Nigeria, Chief Olusegun Obasanjo, Minister of Youth and Sports, Barrister Solomon Dalung, former Chief of Army staff, Lt. General Inuwa Wushishi (rtd) and other Nigerians for their immense contributions to Taekwondo development, support for the bilateral relationship between the Korean Embassy and the sports establishment in Nigeria since the formation of federation 30 years ago. 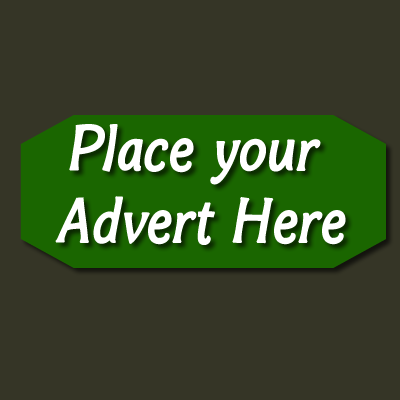 The event will take place at the Molade Okoya Hall of the Teslim Balogun Stadium in Lagos. 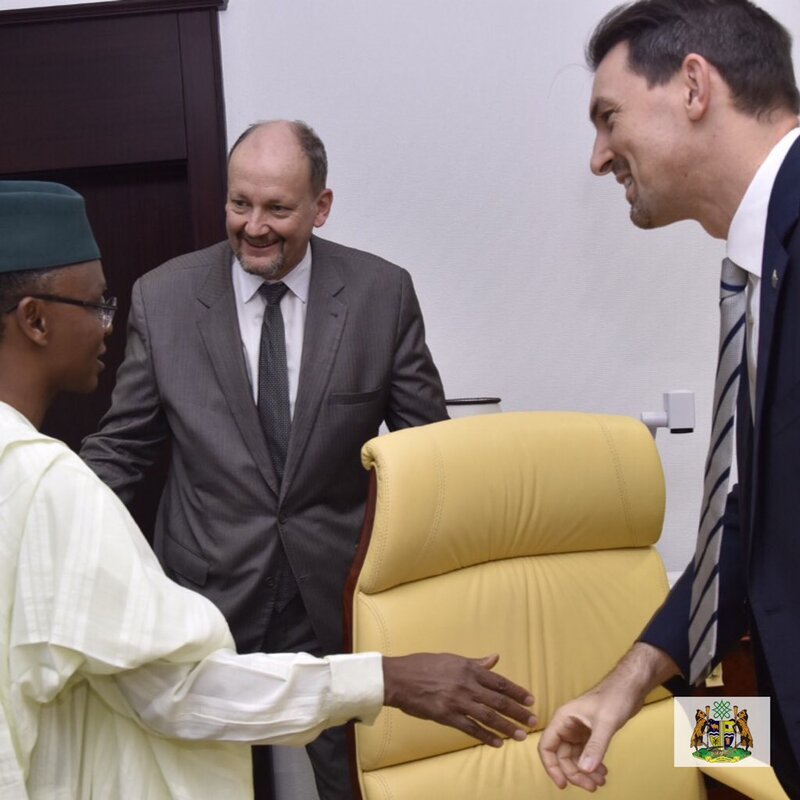 Kaduna state governor, Nasir El-Rufai hosts a delegate led by the EU Ambassador to Nigeria, Michel Arrion at the Sir Kashim Ibrahim House in Kaduna. 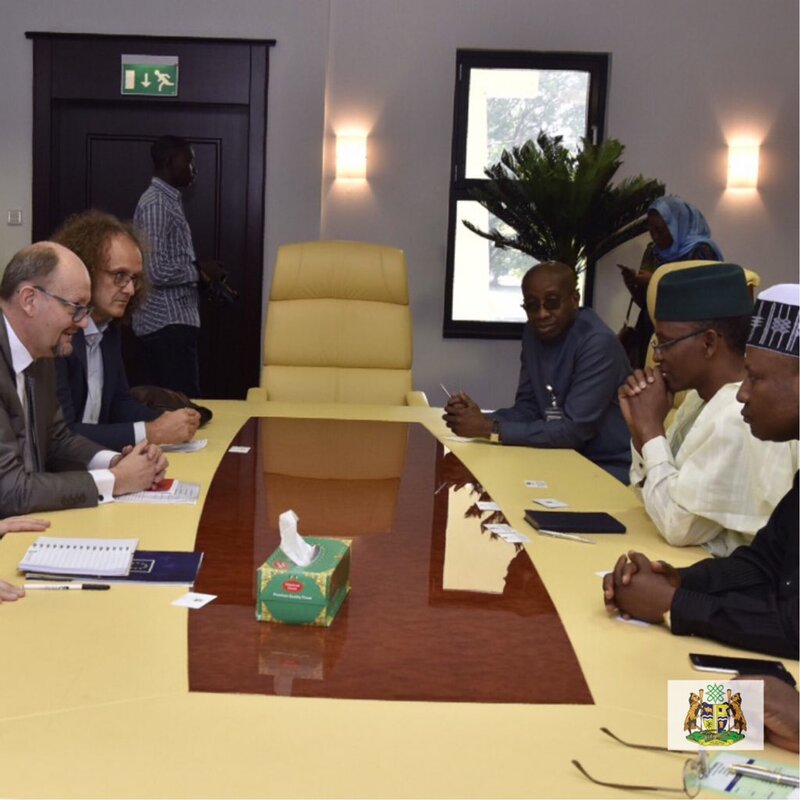 The meeting which was also attended by Mr. Fillipo Amato and the Kaduna state deputy governor, Barbabas Yusuf discussed ways in which EU in Nigeria can support Kaduna's development plans.